The idea of new luxury created for an audience that demands that it be perfect, shiny and spanking new, has always been in conflict with established luxury that adores the slightly aged and dusty. 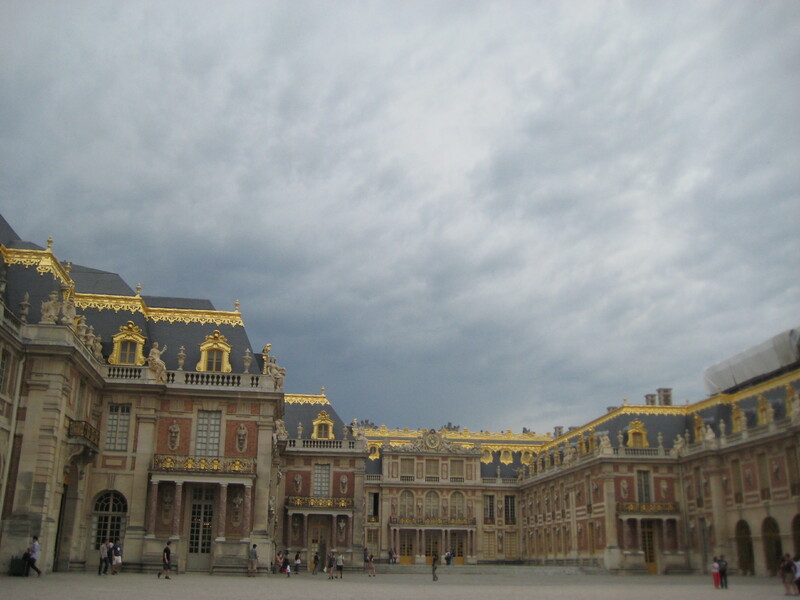 One place to see this conflict is when you visit the extraordinary Chateaux Versailles. To see the full reveal of the buildings that were covered in canvas and metal structures after several years, one is struck by the new golden flourishes that were central to the Sun King’s original concept of “shock and awe”. The reports of the time told of bright blazing reflections from the buildings made of gold that reflected the Sun. Louis XVth, aka the “Sun King” was the first serious renovator and resident as well as the originator of an extraordinary legacy of luxury. Together with a talented architect and a flair for publicity, Louis XVth created the concept of luxury in France. As you take the walk to the entrance, his vision is as magnificent as it was then. As the sheer beauty and golden surfaces are revealed, you are struck by garish richness and new “money” sort of feel to the buildings that used to look more aged with elegance. Versailles, was like an old grandmother sitting on her grand settee, perhaps a bit off, a bit over stuffed, her edges a bit blurred and dusty. But, seeing her all shiny and new was a bit shocking, and perhaps a bit garish. I had the same feeling when I saw the Sistine Chapel after it was renovated and cleaned. Bright, shiny, neon colors from the Italian 15th century jarred with my idea of “history and time passing”. The past has a certain look and atmosphere which is shown to us and our modern sensibility through our own ‘manufacturing’ of it: Movies, books, photos, and paintings covered in grime influence our vision. I call it “historical editing” that seems to influence our way of looking at things. A modern viewpoint of the past is always something that historians and art historians try to avoid in their analysis. But fortunately, as artists we are allowed to envision what we “think'” the past was really like. So, when I go back in a few years after the weather takes that shine down a bit, I can be comforted again by my own personal “vision” of the glorious surfaces that are slightly aged with time and I can “pretend” I am there, stepping out of my carriage in my finery to attend a dinner in the Palace.